You are not alone. 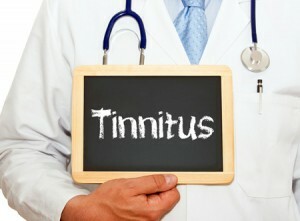 About 10% of the UK adult population have permanent tinnitus. If you want to chat to us about your Tinnitus or prefer to arrange a full tinnitus assessment appointment then please contact by email or telephone to arrange an appointment with Ms. Pat Chippendale Senior Hearing Therapist, Msc Rehab (Audiology). Monday 5th February is the start of our Tinnitus Awareness week, which this year is aimed at targeting GPs. Some GP’s have been reported as conveying that nothing can be done about this ‘Tinnitus’ but this is not the case if we are considering the management of the condition. For 2018, Chippendale Hearing Services is sending out an information pack to various GP practices with a number of BTA information sheets in the hope that this will be passed on to their various patients conveying that help is available. The initial treatment option is information but we do offer other strategies such as sound therapy, counselling or devices to correct hearing loss (from very slight to severe) – devices to work to distract from the condition and stimulate the hearing brain. At Chippendale Hearing Services our private tinnitus clinics offer information or diagnostic sessions. Sessions can be arranged either here at our centre in Norden and at The Highfield Hospital Rochdale. Appointments can be arranged via our email address at chippendalehearing@hotmail.co.uk or by telephoning our direct mobile 07900 466806. Alternatively we can post you an information pack. Take action to help yourself and manage the condition so that you no longer need to suffer.